Earn $0.98 in Rewards credit (98 points) What's This? Heal flats while you ride! 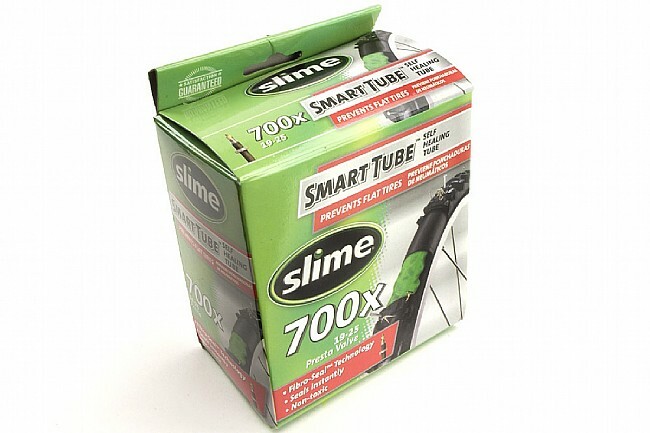 Slime Self-Sealing Tubes are butyl tubes filled with green "Slime" sealant, which seeps into and seals any small tears or punctures in the tube that may occur while you're riding. With Slime's self-sealing tubes, you might not even know you had a flat! Ride without worry even in areas where the roads are covered with glass, wire, or small thorns. 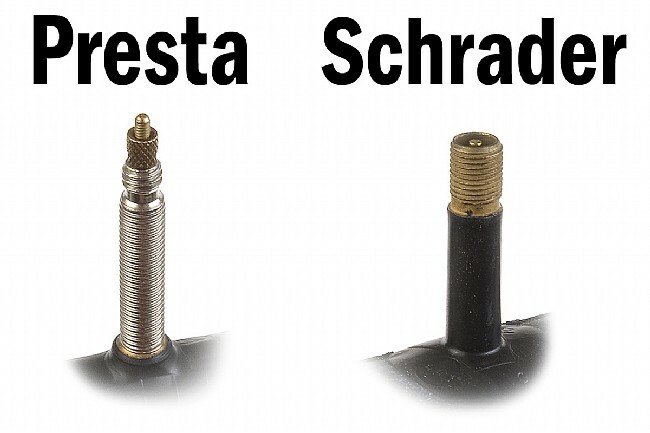 36mm or 48mm threaded Presta valve stem. Heavy and don't ride well, but very effective at preventing flats. Boy these are heavy tubes. But after three consecutive days of flatting from different punctures on new tires, I gave up. Once installed, your wheels will noticeably slump around and handling is pretty terrible. But hey, no flats after 600 miles so far, a couple self-healed punctures, and they hold air like a dream. I'd never use them for training or weekend rides, but they serve their purpose for daily commuting peace of mind. after 6 flats in the last two weeks decided to go with new tires(gator skins) and slime tubes. I see the slime tubes have good reviews but my front tube only last one day and the tube split on the seam next to the stem. must be a bad tube or I just have very bad luck. These are required anywhere you have sharp, pointy objects waiting to ruin your day. Arizona, where I ride, is awash in goat heads. Small, round seeds that have points as sharp as any needle you've seen, all over the place. Without Slime tubes, you will learn to either repair tires out on the trail, or spend allot of time pushing your bike home. Either one is not the way to enjoy your bike adventure. Don't leave home without them! My commute takes me through dirt paths and paved roads with more crevasses than an arctic climb- and I installed these to keep me rolling until I got to work and back home. So far, so good though they have not been penetrated as of yet. They are much heavier than standard tubes, so if being light and speedy is your thing, bring your patch kit instead. You will experience fearless biking when you use Slime Self-Sealing Tubes. I spent a sunny week biking in the Phoenix, AZ area. The trip leader strongly recommended using slime self-sealing tubes. Viola! A week without flats despite all the nasty, thorny elements on the road and I am not referring to other bikers. I did experience some green slime shooting out after I first installed and pumped up my tires. But this reassured me tht the slime was working. Give 'em a try. A mainstay (IMHO) for any cyclist that does not run tubeless. I have gotten as many as three seasons out of one tube. One of only three products I have ever given a five star rating to. I've never changed a flat tire on a 5 degree day and I want to keep it that way. I use slime tubes to give me some confidence that I won't have to. I keep this on my rear tire all the time now. Total life saver! 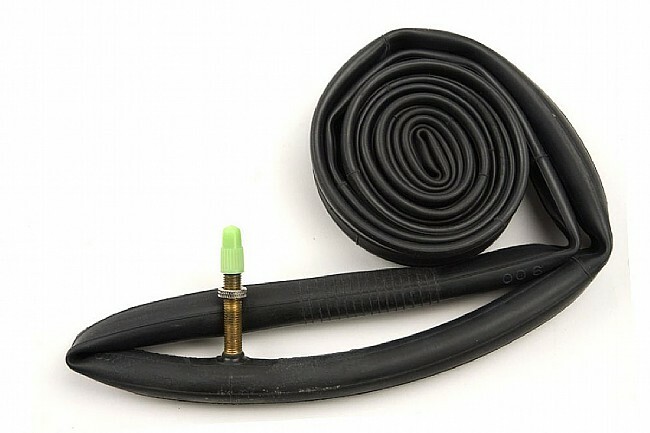 Riding through city streets every day, I can really tell the difference between when I have a slime tube vs a regular tube in the frequency of flats. I highly recommend this. There was a period I got 3 flats in a one week, even with tire liners. A real pain, especially if it's raining. I searched around for alternatives and gave Slime a try. I've been Slimed and I love the stuff. All my bikes have Slime Tubes installed. I'll get an occasional Slime Spray, which tells me it just plugged a leak and I can continue my ride without stopping. When you do have time to repair the leak (really isn't necessary), the Slime marks the spot, making for a easy repair. I have used these tubes n y training bike, after having a three plate episode a few years back I decided I never wanted to walk 8 miles down hill in my cleats again! So I have been using slime tubes and they work great I never worry about running over stuff unless it is big stuff then I get worried. I had one instance where a wire went through both sides of the tire and tube a very long wire and sharp. Recently I had to replace a tube because the valve stem got stuck open but I had that tube on there for years, no complaints. More weight then a normal tube but for my commuter bike just another way to protect myself from flats. I have a beltdrive and getting my rear wheel out is just a little more time consuming. So this is just another layer of protection to avoid flats. I use it on my raincommutergravel bike. My wife and I use these tubes on our daily commuter bikes. And after a year of service she got a flat. Upon closer inspection the tube actually had 7 punctures that sealed. Ironically, this last one sealed too and she was able to get home safely. It's the only tubes I use anymore. They really work. Two months and no flats yet. I ride because it is part of my physical therapy regiment. I have back, leg, and foot issues and after my latest diagnoses, I can only ride a bike (and I used to hike, walk, and jog but can't because of health reasons) I have been using Slime tubes for years and had a pretty good supply stocked up. I understand that were I live I will occasionally get a flat that is why I carry the necessary extra tubes and a pump on all of my rides. Something must have happened because the last time I stocked up I must have received a defective batch or something because I have had to replace 4 flats in the last two weeks. One ride last week took me two hours to travel three miles....why, because I had to replace two tubes on the same tire on the same trip. You might think flat, no big deal...with back and leg problems, pushing home a bike makes worse my condition and the last time I ended up staying in bed for a whole day and missing work as a result. I used to think Slime was wonderful, but now not so much...especially since the last flat was result of a tube split on a seam which was on the rim side of the tube. This screams obvious defect and poor quality of workmanship (well at least on this last batch). Definitely going to Slime.com and tell them what's what. Four times I've had to replace flat tubes that refused to hold any air. I'm not a rocket scientist but if this isn't a result of a bad batch and represents just a single incident, we'll see, but if this is the new normal for slime tubes, it's obvious that they are a waste of money, time, and my health...too bad, they used to make a wonderful product. Thank you for the product review. We are sorry to hear about your experience but would be happy to help get you set up with replacement tubes or anything else. Please call or email us at your convenience, and we will get started on helping out you. Good protection against the dreaded goathead! Like Great protection against thorns and pinch flats.